Okay, I have a very special Fashion Friday right here y'all! Let me start by asking this... Who's ready for some football?! Or Fall in general?! I was definitely born and raised an SEC girl, so I definitely look forward to this time of year approaching. Well, today my sister is moving into her apartment in Oxford. I'm so beyond excited (and of course a little emotional) that she will be attending Ole Miss this fall and joining the SEC clan! It should be a fun football season to say the least... My dad went to Georgia and my husband and I went to Texas A&M. Another one of my favorite things about fall is the wardrobe! I absolutely LOVE thetransition clothes from Summer to Fall, so that's what I will be showing you today! Being a teacher, I love that I can wear these cute clothes to school! I styled it with some J.Crew shorts and my super cute flippy floppies from @kreations4ubykt (Instagram account). Also featured is a bracelet from Pretty Pants. 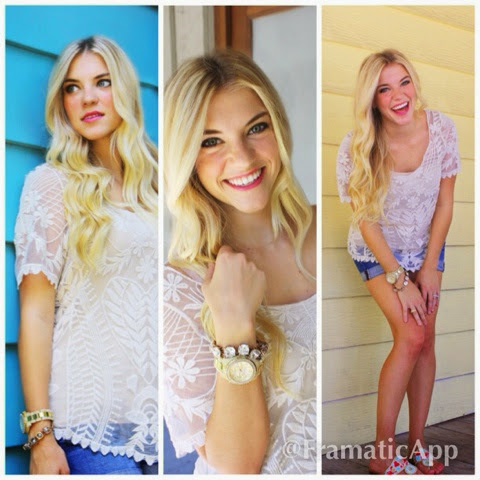 This shirt is perfect with shorts or pants! I can't wait to wear it to school. This next outfit is perfect for this time of year! I got this beautiful top from Pretty Pants. Also, how cute are these bauble bangles from Le Boutique?! I'm loving them! I paired these pieces with my Tory Burch flats and J.Crew matchstick jeans. Once again, sorry for the late and short post! It's a busy weekend. A little while ago I came across your Instagram and saw that you had a blog! I just started a blog I love to check out other fashion blogs for inspiration. When I clicked the link and it brought me to your blog I saw the words; SEC, Texas A&M, and Aggie. At once I knew I came to the right place:) My dad attended A&M and hopefully I will soon! Anyway, I love your fashion taste (especially if anything is maroon!) Feel free to stop by my blog sometime, have a great day!! Love it! and thank you for your sweet comment! I will for sure check out your blog! :) Have a great night! Gig 'em! SEC all the way! 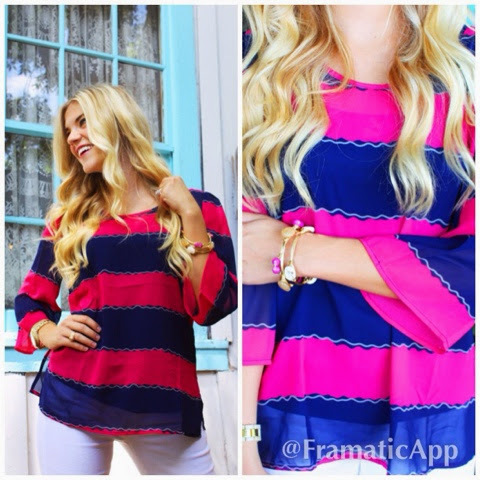 Love that striped top. So adorable!